You only have to scratch the surface of today’s instant digital and online music industry to find some real gems of substance. The advance of genre and sub-genre music continues to gather pace tempting people to make that satisfying switch from consumers to connoisseurs. 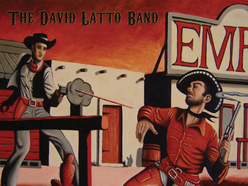 This debut full length album from Scottish based outfit The David Latto Band is a prime example of how the infused sounds of country, roots and Americana has the potential to permeate the mainstream and raise the stakes of popular music. This self titled ten- track release has been a while in the making but the finished product should be a treasured addition to the collections of those with Trans-Atlantic musical leanings. The band structured around the core of David Latto and Gavin Brady has expertly embraced the arrangements of traditional stringed instruments and interwove them with well written contemplative songs. The result is an amalgam of sensitive ballads and driving acoustic numbers paying homage to the spirit of pure Americana. David and Gavin supply the vocals, guitar, lap steel and banjo work for the album as well as the song writing credits for nine of the ten songs. The odd one out being the delightful Herb Pedersen penned ‘Wait a Minute’, a song also covered by those two East Nashville alt-country purveyors, Eric Brace and Peter Cooper. The impressive recording has been enhanced by the drums of John Alexander, bass of Atholl Fraser along with the ubiquitous fiddle, dobro and mandolin input from Jim Hyndman. Two of the record’s more memorable tracks are situated in the second part of the album. ‘Black Horse’ is a fine well constructed ballad with strong vocals and chorus. ‘God, I’m Drinking Tonight’ is the perfect finale song and ensures the album tackles that essential country ingredient – drink. This bluegrass inspired song leans heavily towards the fiddle and impressively builds up to a crescendo to bring the curtain down on an enjoyable album. Hopefully the band will be in a position to venture south of the border and treat fans to some live performances of this album. You can attach a whole host of labels to it – country, alt-country, Americana, bluegrass – but ultimately it should just be classed as a good record.